The Strategic Development Planning Authority (SDPA) is a partnership between Aberdeen City and Aberdeenshire Councils and has a key role in guiding development over the next 25 years. Our vision is to create an even more exciting, modern and sustainable European city region - an excellent place to live, visit and do business. The SDPA was formed in 2008 and is one of 4 city-region planning authorities in Scotland. Our primary role is to prepare and keep up-to-date a strategic development plan, engaging with both stakeholders and communities - all with an interest in the future of the area. 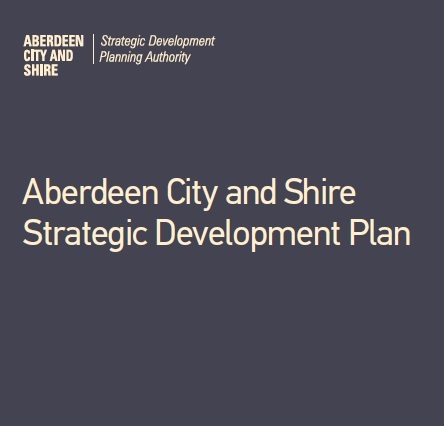 The Aberdeen City and Shire Strategic Development Plan was approved by Scottish Ministers on 28 March 2014. 20 March 2019 The Strategic Development Planning Authority authorises the submission of the Proposed Strategic Development Plan and appropriate supporting documentation to the Scottish Ministers for Examination in Public.